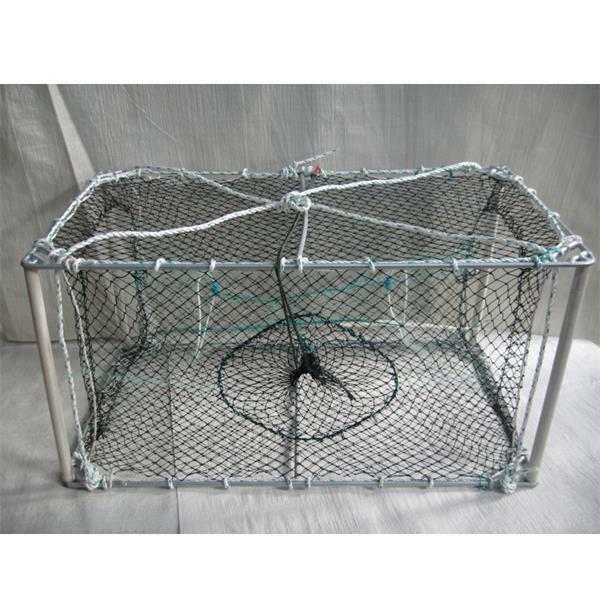 Product Features Huaxing Nets provide high quality Folding Fish Trap Nets for all over the world. All the above dimensions can be customized. Folding fish trap nets, or foldable fish trap nets as some people call it, is an interesting fishing tool. We have it folded and neatly packaged in a bag. For many fishermen and those who fish for fun, it is easily a favorite .Traps are passive fishing gears and are designed in such a way that the fish can enter voluntarily into the passage but the same passage becomes a non- return device and the fish get trapped. When a fish swims inside through this opening, it cannot get out, as the chicken wire opening bends back into its original narrowness. Trap fishing operations are economical and have energy related advantages over active fishing methods. The idea of catching fishes without much effort might have probably resulted in the development of traps. You want to order folding fish trap nets, and you think it might be complex to use? No! Not at all. It’s easy to use, when pull the top rope, then quickly opened, needn’t install, very convenient! After this, secure your folding fish trap net with a string, and then, attach it to a strong pole or rod. There you are, for your wonderful fishing experience ! Folding fish trap Nets are great for catching smelt, eels, crab, lobster, minnows, shrimp and without stress to trap or to ease out catches. Trap fishing is highly fuel efficient both in terms of returns and biomass per unit of fuel consumed. Traps can be operated continuously during day and night with periodical checking and the fish remains alive without any damage. Combined with easier and safer handling , and lower maintenance costs, folding fish trap nets also support more sustainable fishing techniques that optimize production while being better for the environment .